The Prosperous Heart – What is it? Like The Artist’s Way, it is a personal ‘change management’ program. It offers the structured, disciplined approach of The Artist’s Way, to uncovering what your obstacles are to feeling prosperous. Resilience can be learned; the tools are outlined over twelve simple chapters. The weekly assigned Prosperity Points begin a “sleuthing exercise”. You will become clear that “prosperity” and “abundance” are not about money. The Morning Pages are a daily writing practice that clears the mind of distractions and anxieties, freeing up space to creatively embrace change. Exercising the disciplines of Counting and Abstinence, you achieve both mental and financial clarity; your money habits will come into light. Equally important are the habits of Walking and Time-Outs. Two twenty-minute walks weekly and two five-minute tine-outs daily will provide “an escape from the frantic pace” of your life and “time for self-appraisal and self-approval”. It becomes a program for life. Empowered by tools which keep you deliberately & intentionally focused, you will come to rely upon them. They deliver the insights and impetus you need to become and remain debt-free and resilient. Most significantly, you will become confident that you can manage future financial changes in your life. The process ensures that survival skills are left behind. These become tomorrow’s “thrival” skills. 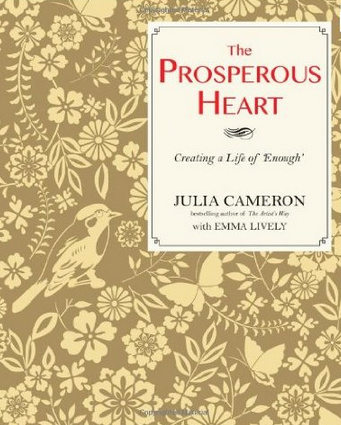 The Prosperous Heart– How does it work?